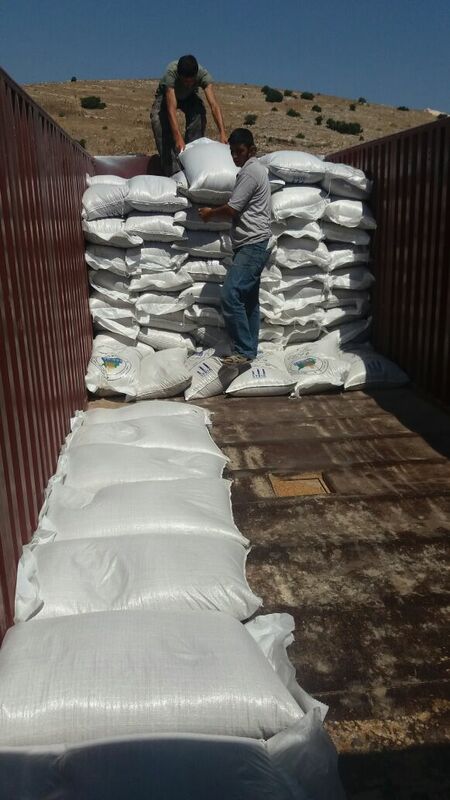 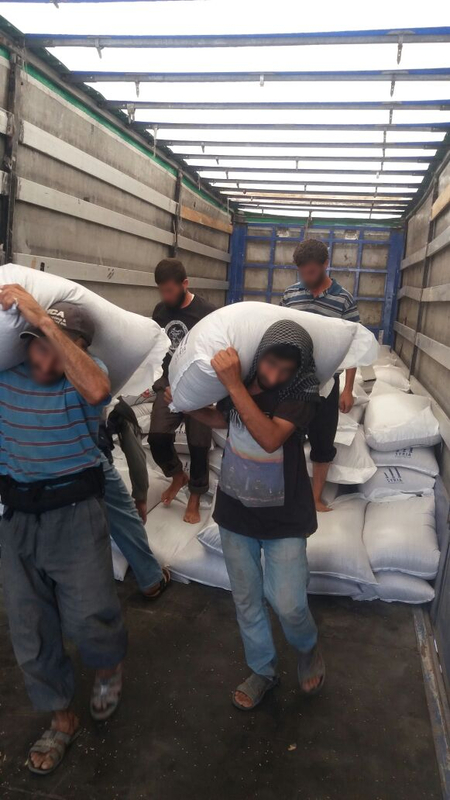 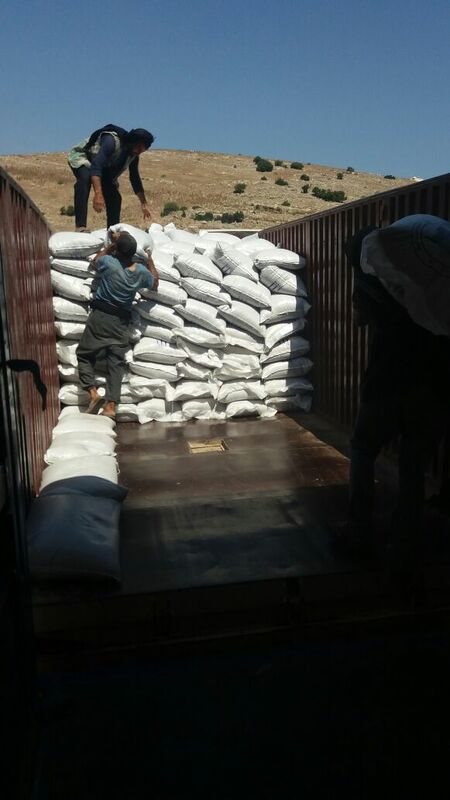 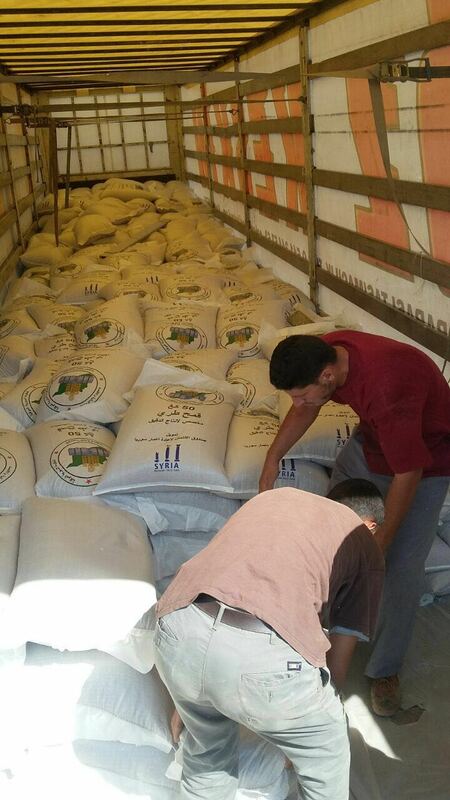 Gaziantep – Wednesday, 29 June 2016 – The SRTF Management Unit today started delivery of imported wheat to selected communities under its “Enhancing Food Security of Aleppo and Idleb Governorates.” The delivery of 200 Metric Tons of soft wheat took place at a zero point on the Turkish-Syrian borders in coordination with the Turkish authorities. 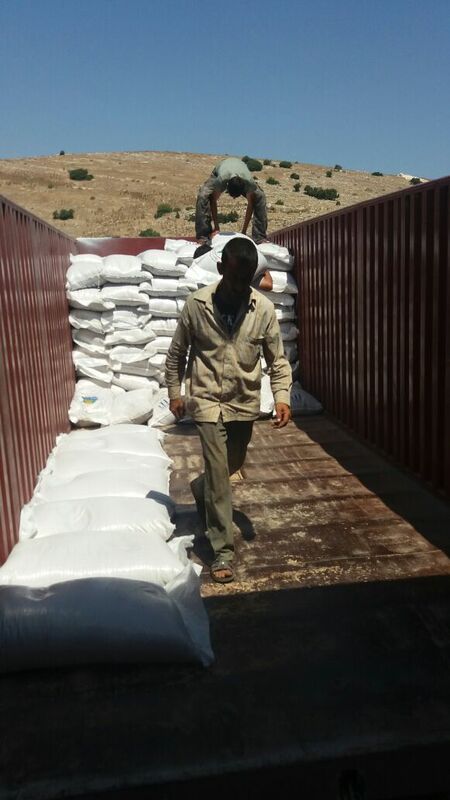 The project aims at importing about 15,000 metric tons of soft wheat, which must be mixed with local or imported hard wheat for the required formula of producing the flour needed for making Syrian bread. 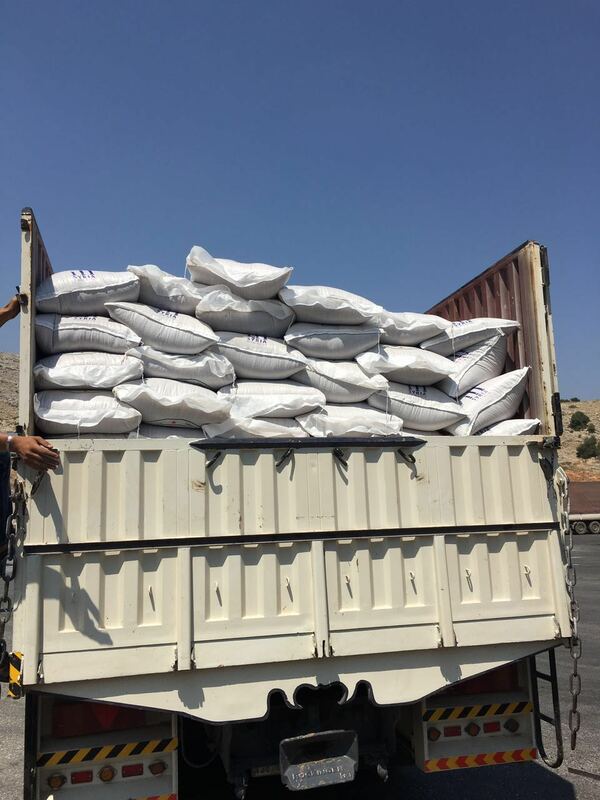 It also seeks to import additional hessian sacks for wheat storage, to install two additional milling plants and to provide power supplies for the milling plants through procurement of diesel generators and their fuels. 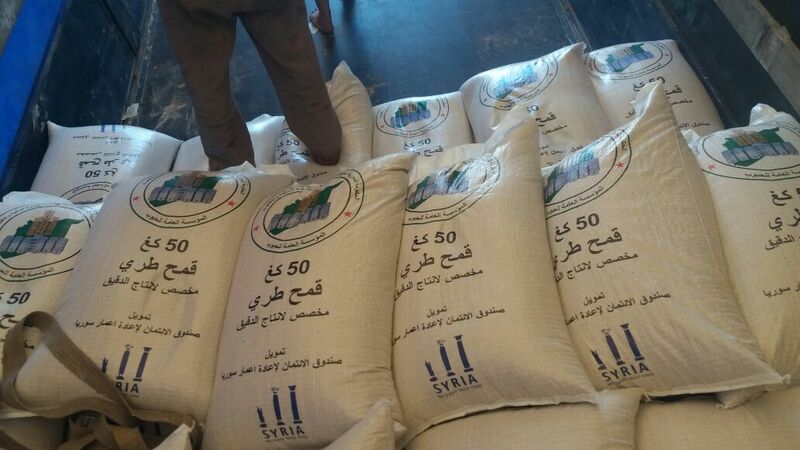 The project will enhance the institutional capacities of the implementing entity, the Syrian Public Establishment for Grains (SPEG), which also helps Syrian farmers increase their local production, storage and marketing. 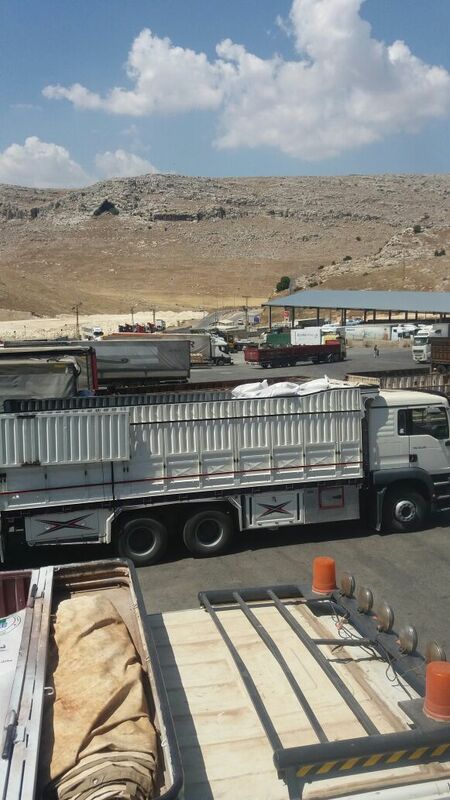 Worth a total of approximately 13.74 million, project began its operational activities following the signing of its financial agreement on 20 April 2016. 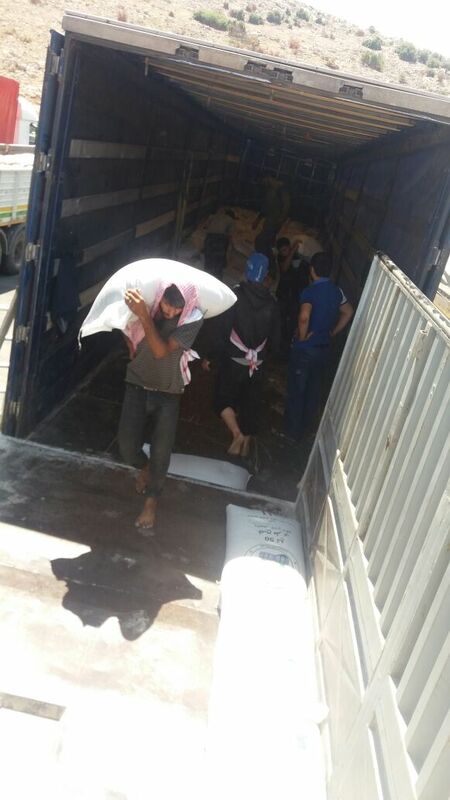 The increased availability of wheat and flour supplies to bakeries will help further decrease bread prices to the benefit of some 2 million people living in the two governorates.